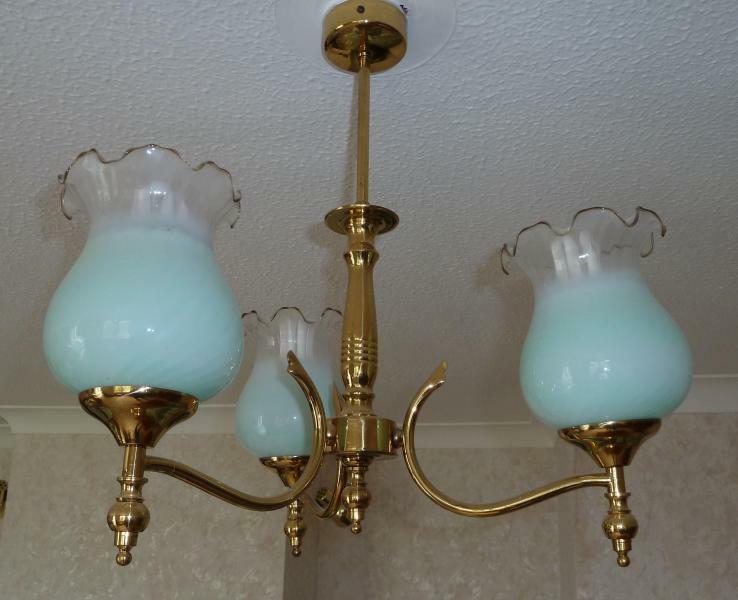 A pair of pale green glass shade and brass finish ceiling lights. Plus spare shade. From non-smoking house. Very good condition £45.00, 01249 720161.